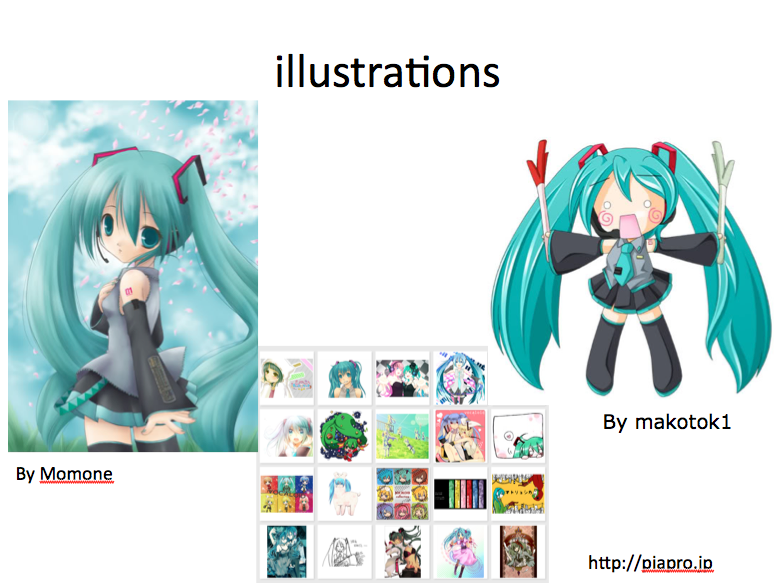 I have been posting and speaking a lot about Hatsune Miku in various places including this blog(2008), this blog (2010) and did Ignite at LeWeb'10. 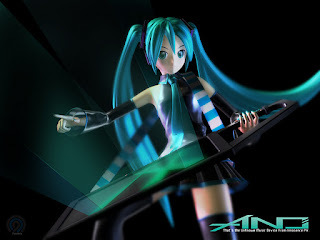 Hatsune Miku is a Desk Top Music software and a character- it started with the "voice" and "picture" created by a company called Crypton Future Media, which generated a huge movement of DIY music, video and art phenomenon. 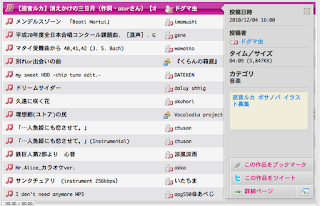 It is one of the series of softwares called "Vocaloid". Recently Hatsune Miku had been attracting attention from various countries. LA Weekly "Hatsune Miku: Her Best Fan-Generated Videos"
Also, Vocaloid series is constantly evolving- the newest version "Vocaloid 3" which has a much human-like sound- can be listened from the link below. 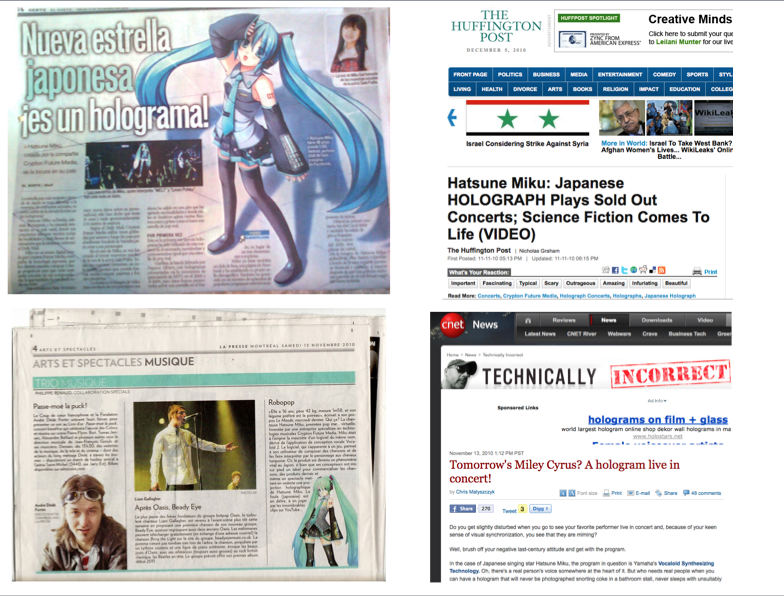 Press articles of media around the world surprised about a concert of a virtual idol. 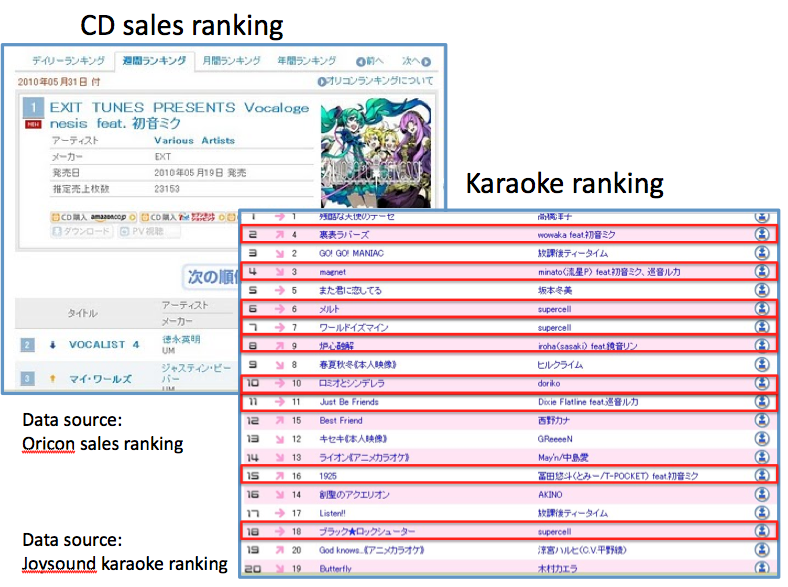 The most interesting thing about Hatsune Miku is how it spurred enormous amount of creativity by the users- music, pictures, animations, software, etc. 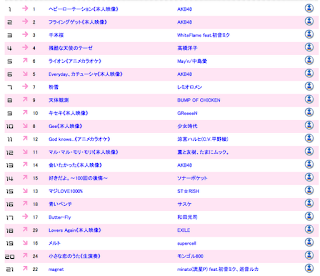 And some of those user generated songs won #1 of the Japanese weekly CD Sales ranking, and Vocaloid series won #2,4,6,7, 8, 10,11, 15,18 of Karaoke ranking last year. 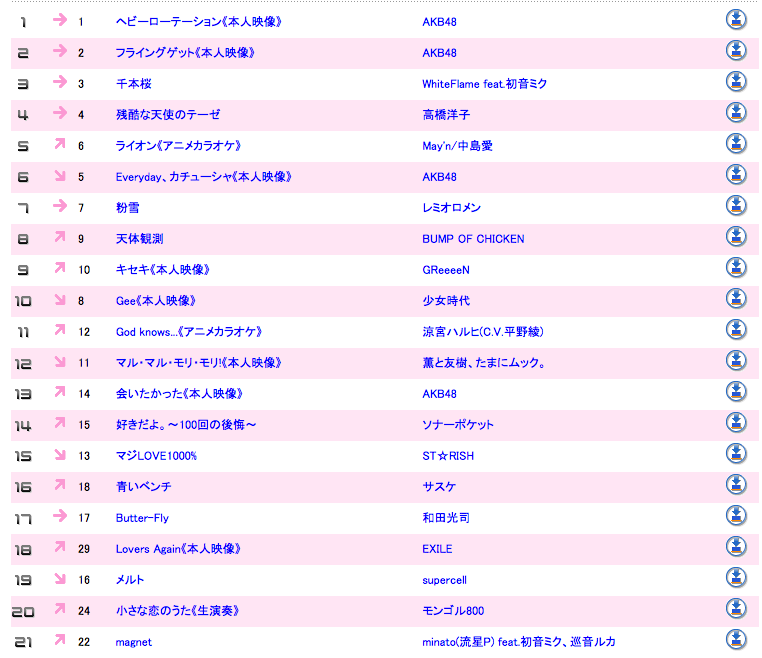 Much less in Karaoke ranking compared to last year, but still #3, #19 and #21 were Hatsune Miku songs. 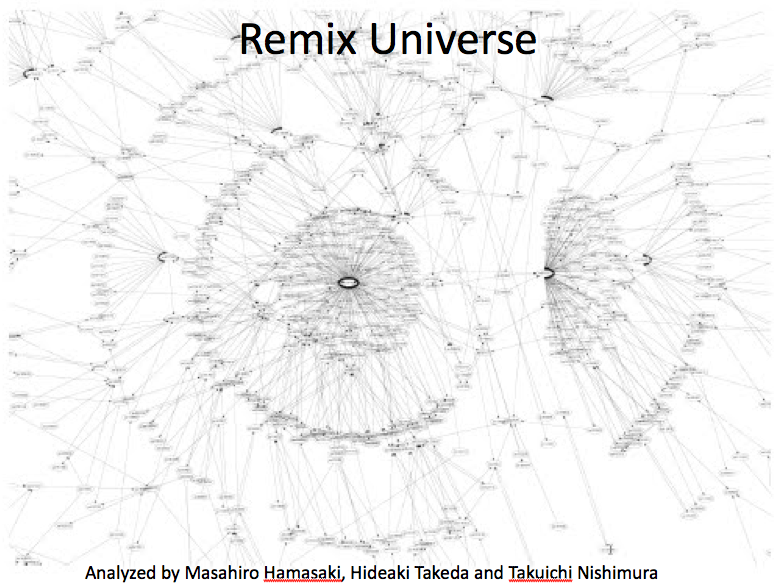 I played one of the most popular songs at LeWeb last year- "Miku Miku Ni Shite Ageru"
This song was remixed by many people, and the dots on this chart shows all the remixes- it actually looks like universe! 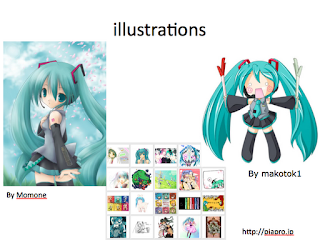 And of course various 2D animations and 3D animations. 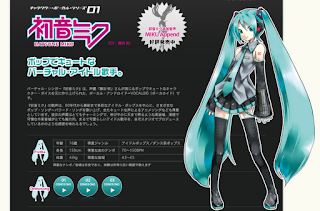 People started creating software too- MikuMikuDance is the most popular one- user generated 3D animation creation software. MMD started to carry physical engine, and the users can control objects’ weight, friction, spinning speed, speed decay, repulsion, etc. MMD development by the original creator- Yu Higuchi has ended as of October 2011, and MMD's further development is now in the hands of the MMD community. Then there's the 3D animation and hardware hacking part. 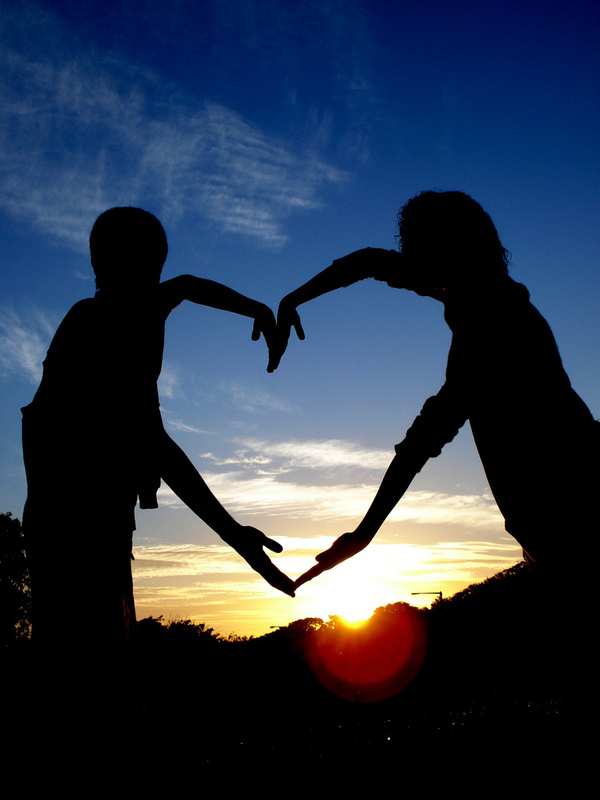 This video of "Innocence" started the movement. 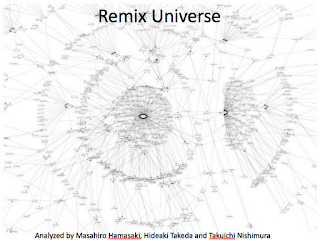 You can see this imaginary musical instrument- which stimulated the geeks around Japan to actually create it. 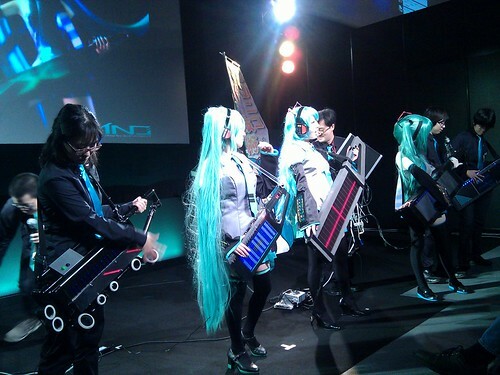 At Digital Contents Expo, a bunch of creators gathered to show off their instruments and did a mini live. I believe the key to the success of Hatsune Miku was its openness- Crypton Future Media could've claimed their rights and prohibited the use of the characters- as many of the contents industry companies does- instead they decided to open up the use of the character Miku, and invited various creators to share, reuse and remix their creativity- which led to a viral effect not just by consumers, but creators, and also made consumers to become creators. 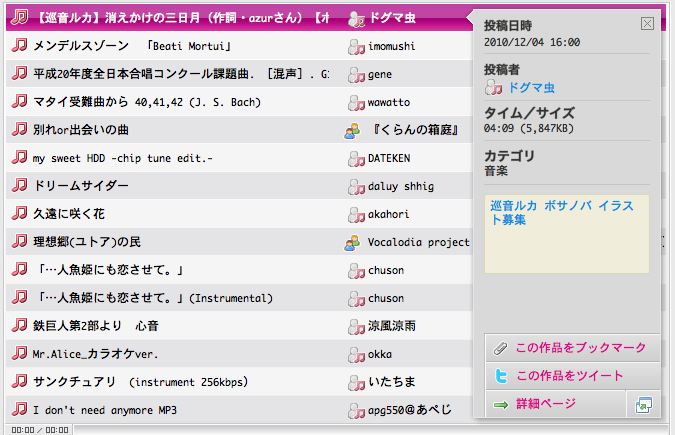 Disclaimer- This blog is a personal blog of Fumi Yamazaki. What I write here reflects my personal opinion, and has nothing to do with my employer.